It's reached that point in an election cycle where a candidate's pant suit becomes a fashion trend. There's even a Facebook page calling on people to wear pant suits on election day. Starting tomorrow it's going to be #AmericaFirst! Thank you for a great morning Sarasota, Florida! With 29 votes and no clear lead for either candidate, Florida matters a lot. In case you missed it : FBI Director James Comey has told Congress a review of new Hillary Clinton's emails has "not changed our conclusions" from earlier this year that she should not face charges. This is the last day of opinion polling before the actual vote and all major polls give Clinton a lead. But upsets can happen; just ask any Briton confident that the country would vote to remain in the EU before June's vote. A fascinating segment by comedian Samantha Bee, who met the government-paid Russian trolls producing and disseminating anti-Clinton memes. "The reason I'm hired is to make simple people change their mind about their vote," said one of the purported trolls. Is Glenn Beck 'woke' now? The conservative talk show host spoke of his dislike of Trump, regret for previous tirades against Obama, and urged "empathy" for the Black Lives Matter movement. Libertarian party nominee Gary Johnson current stands at about five percent in the polls but that hasn't stopped him from campaigning hard in a number of states in the run-up to the vote. The former New Mexico governor was in Colorado on Sunday and in Texas today. The presidential election is big money machine. 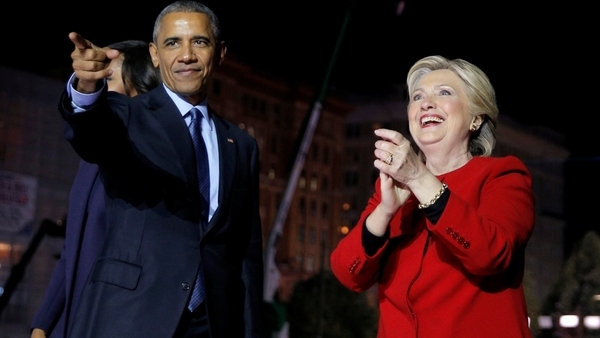 Clinton has so far raised $1.3bn for her campaign, and Trump $795 for his. And they want more. Today, Trump is asking for help to feed his volunteers. "Our volunteers are the best. They’ve sacrificed so much time and have poured their hearts into our movement. I want to reward them for their hard work. If you can’t join them, I totally understand. 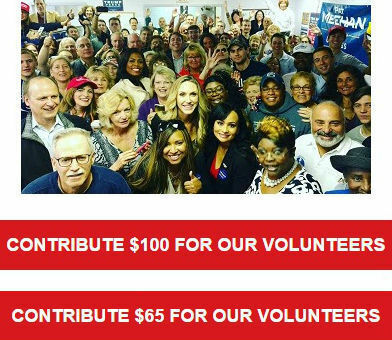 But would you consider contributing $5 or $10 to help buy our volunteers pizza, snacks, and water as they work extra hard during the next 24 hours to Make America Great Again!" "I will remember every name, every DEPLORABLE" who helps today. Shatter the goal. Contribute $45 Now." "The only thing that can stop this CORRUPT MACHINE is YOU... Make an EMERGENCY ad blitz contribution." One day he told fans he'd dedicated a wall in the Trump Tower to donors. This weekend the reward for donations was a free Make America Great Again hat, and some other day, there was a promise of getting your name on his Facebook page. And from Clinton: "Time is running out to show everyone you were part of history - chip in $1 before midnight for your personalized Supporter Card." On the eve of the election, for every donation to the Clinton campaign, starting from $1, she is offering a sticker. "We need to send more organizers into battleground states like Florida and Ohio and knock on more doors in must-win parts of North Carolina and Nevada." It's unclear if those volunteers will get pizza. Only once has Arizona voted Democrat since 1952. That was 20 years ago when the state picked Bill Clinton in his re-election bid. With a surge in the Latino population, however, Arizona is now considered a toss-up as many Hispanic Americans mobilise against Donald Trump. What does the US election mean for immigrants? Donald Trump has made promises to expel illegal immigrants and build a wall between the US and Mexico. For immigrant communities, the stakes could not be higher. Tonight on Inside Story, Al Jazeera asks why the issue has been at the forefront of the election campaign. Hillary Clinton v Donald Trump: Who will be better for your country? This year's US presidential election is polarising not just in the United States, but also worldwide. 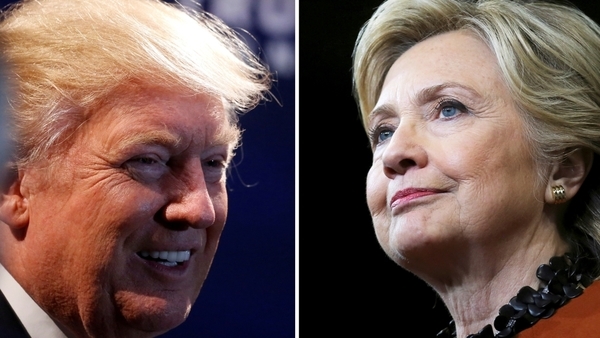 As Americans head to the polls on Tuesday, which candidate would be better for your country? Have your say in our poll. With his brash promises to rip up trade agreements that don't favour the US, Trump is making manufacturers in Japan nervous. Will either of the US presidential candidates do anything about the occupation of Palestinian land, the growth of settlements, or the indignities the Palestinian people face? Palestinians say history suggests no. Normally in political debate, you accuse your opponent of being wrong. Resistance implies something bigger. Neither the 2012 Republican nominee Mitt Romney nor the 2008 candidate John McCain have endorsed Trump and have instead heavily criticised the current party nominee for his derogatory remarks on women. Both candidate's are marking the last hours of their campaigns on social media by pushing emotive campaign ads. 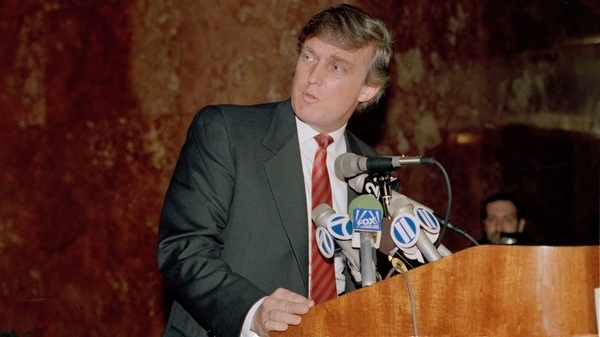 Trump's focuses on portraying Clinton as a representative of the 'establishment' and interested only in furthering the concerns of an elite cabal at the expense of the common man. An experienced diplomat, civil rights activist, former first lady; that's the persona the Democratic nominee is putting forward in this campaign video. Can't help but think the former New York mayor walked right into that one. The former speaker of the House of Representatives signals the start of a possibly tumultuous reign should Clinton win tomorrow's vote. Gingrich, one of the few Republican stalwarts to enthusiastically back Trump, said the Democratic nominee's dealings through the Clinton foundation would be scrutinised endlessly. "Every foreign gift, every foreign speech when she was a senator or secretary of state" should be investigated, Gingrich told NBC. 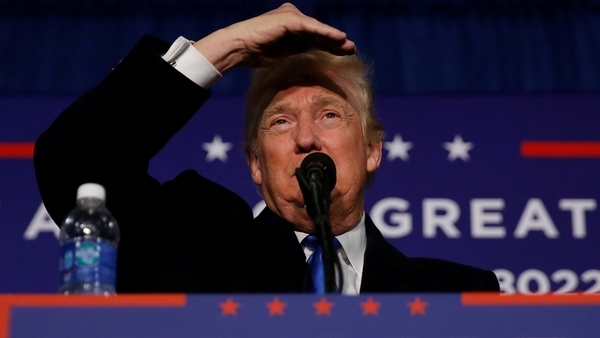 Michael Moore: Donald Trump has "every bad trait"
The Oscar-winning filmmaker tells Mehdi Hasan that Donald Trump is the "embodiment of just about every bad trait you can come up with." "It's like if you went to Doctor Frankenstein last year and said 'hey give me a creature' that embodies all the worst traits of men, White people, and rich people," Moore said. The Democratic nominee tweets out one of the most controversial episodes of the campaign, a leaked video recording in which her opponent Donald Trump details unsolicited sexual advances he has made against women. Donald Trump's gloves-off style of attacking opponents may seem like a weird way for a politician to conduct himself, but there have been dirty campaigns before, including between founding fathers. This Rob Reynold's primer explains how past presidential campaigns also turned into mud-slinging shouting matches. That's the inside of our Doha headquarters, tune in Tuesday evening for live coverage of the results and check out aljazeera.com for rolling updates as we get them. Hillary Clinton is the big winner in Dixville Notch's midnight vote. 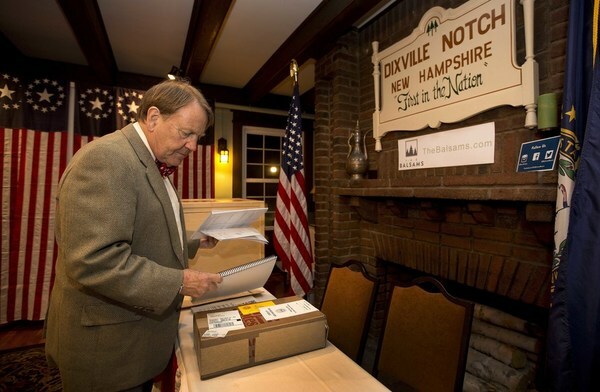 The tiny New Hampshire town is traditionally one of the first to vote on Election Day. Of the eight votes that came in, Clinton captured four of them, while Donald Trump received two. There was one vote for Libertarian candidate Gary Johnson and Mitt Romney got a surprise write-in vote. According to New Hampshire law, towns of less than 100 voters can open their polls at midnight and close them after all registered voters have cast their ballots. Voters in Hart's Location and Millsfield, New Hampshire also went to the polls at midnight. 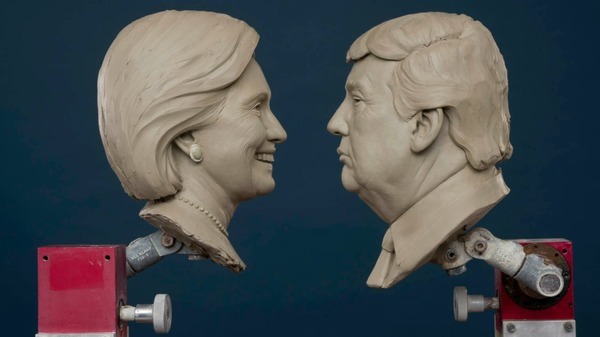 Once a winner is announced, sculptors and stylists will get to work to finish the 45th president for inauguration day in January. We're just hours away from many polling stations opening their doors and those online are getting in their final thoughts on the election. 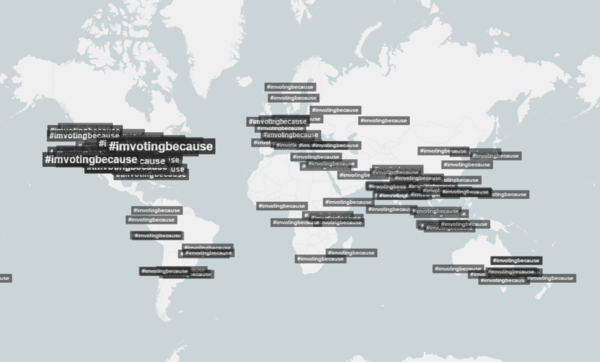 #ImVotingBecause wasn't just trending in the US however, but worldwide as many made last ditch efforts to persuade the Twitterverse to vote for their favourite candidate. According to Trendsmap, the hashtag had more 387,000 mentions in the 12 hours. Do the votes of Americans actually count? Just how does the US Electoral College work, and do the votes of Americans count? Ahmed Shihab-Eldin breaks it down. Nate Silver's FiveThirtyEight latest poll analysis gives Hillary Clinton a 71% chance of winning. He's behind in the polls, but there's no denying a Trump presidency is a possibility, and who could have imagined that just over a year ago? Afghans weigh in: Who's the favourite in the country home to 'America's longest war'? For Afghanistan, Hilary Clinton is a known entity while Donald Trump is either a 'nightmare' or potential change agent. Hillary Clinton: The first Madam President? 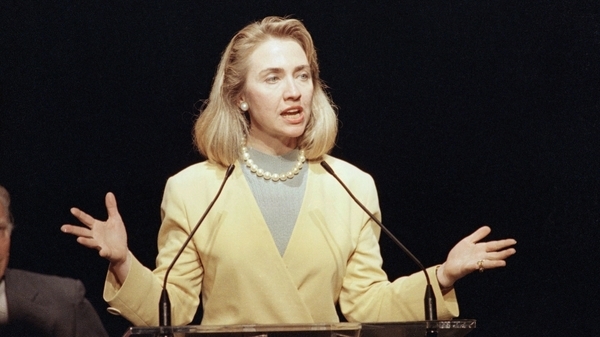 Clinton's early activism was focused on civil rights, but her later career was defined by her hawkish foreign policy. Rival candidates seek to sway swing states in the final hours of campaigning, stopping off at major battleground states. 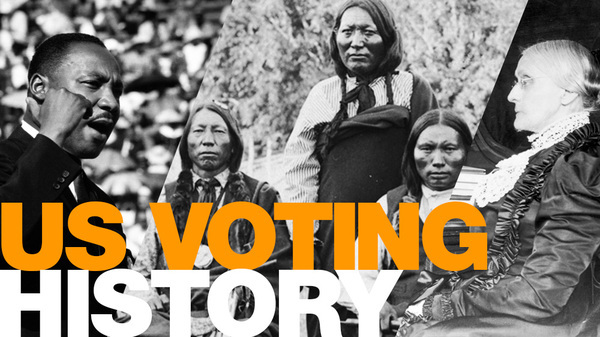 Who got the right to vote when? What does Donald Trump need to get 270 electoral college votes? Given the polls, 270 electoral votes for the Republican candidate is unlikely. But impossible? Alan Fisher has a go at the maths. Why would any self-respecting human being want to have anything to do with this election? Asks professor at Columbia University. 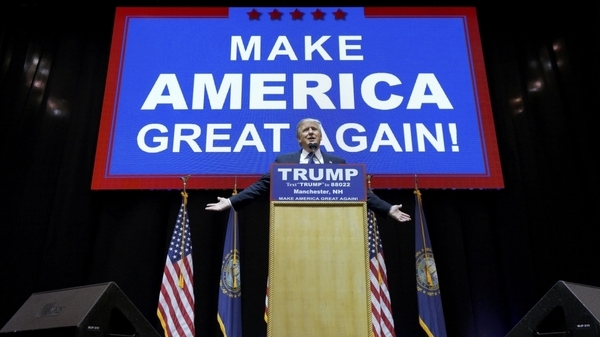 The Republican nominee further promised to stop migration from 'terror-prone' regions. Chicago's Chance the Rapper led a 'parade to the polls' Monday night in an effort to get African American, Latino and young voters to the ballot box. The rapper performed alongside other musicians at what was described as a non-partisan event in Chicago's Grant Park before leading hundreds to an early voting site. Chicago's early voter turnout hit a record high this year with more than 350,000 people casting their ballot before Tuesday. Read more. US Election Day: @AJEnglish has teams in: NY (Trump and Clinton), DC, NC, FL, UT, AZ, OH, PA. And analysis/tracking results from Doha HQ. Polls open across several East Coast states. The day is finally here! 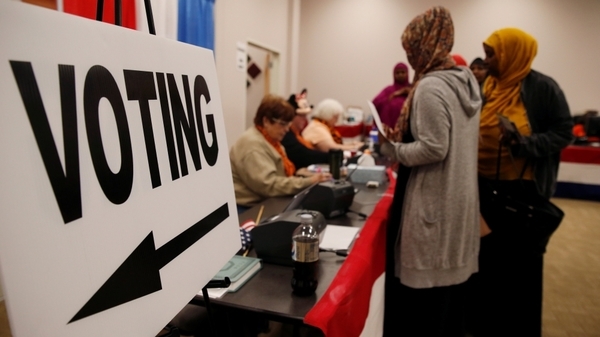 Polling stations across several East Coast states are now open!